The Brain Tumour Charity is the world's largest dedicated funder of research into brain tumours globally. Crowned as The Third Sector’s Charity of The Year for 2018, The Brain Tumour Charity has committed over £51.1 million since 2012 towards pioneering research to accelerate a cure for adults and children affected by this devastating diagnosis. Furthermore, in 2018 alone, they assisted over 13,000 people through their dedicated support services and their benefits clinic helped people save, on average, £5,000 each. Your brain is the most extraordinary part of your body. It's responsible for your ability to move and to communicate. It controls your emotions and stores your memories. It makes you, you. 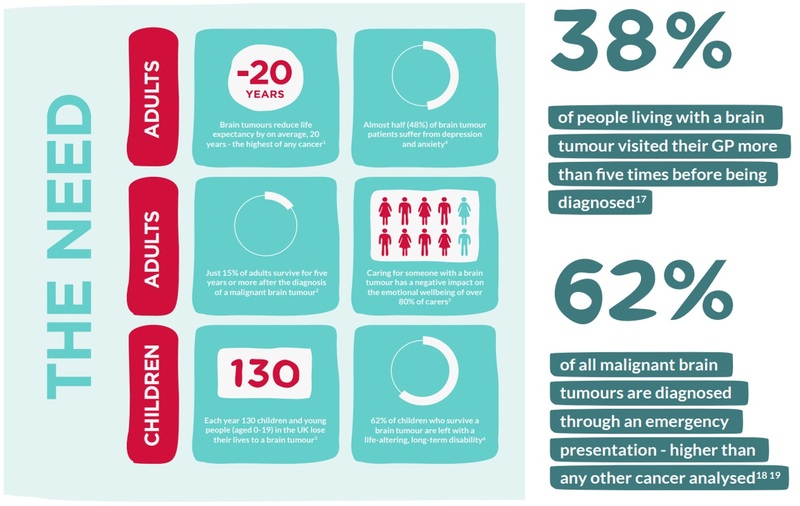 But every day 31 people are diagnosed with a brain tumour. And the impact is shattering. Research into brain tumours is woefully underfunded, with less than 2% of Government cancer research funding going towards brain tumours. Little progress has been made in over 40 years and survival rates are one of the worst of all cancers. Progress isn't happening fast enough. We need to do more. And we need to do it now because when you or a loved one is diagnosed with a brain tumour, a cure can’t wait. That's why at The Brain Tumour Charity they’re set on finding new treatments, offering the highest level of support and driving urgent change. And they’re doing it right now. At Fix Events, we want to support their movement to accelerate change and find a cure faster. So we’re proud to be partnering with them and helping in whatever way we can. Together, we will do more for a cure.